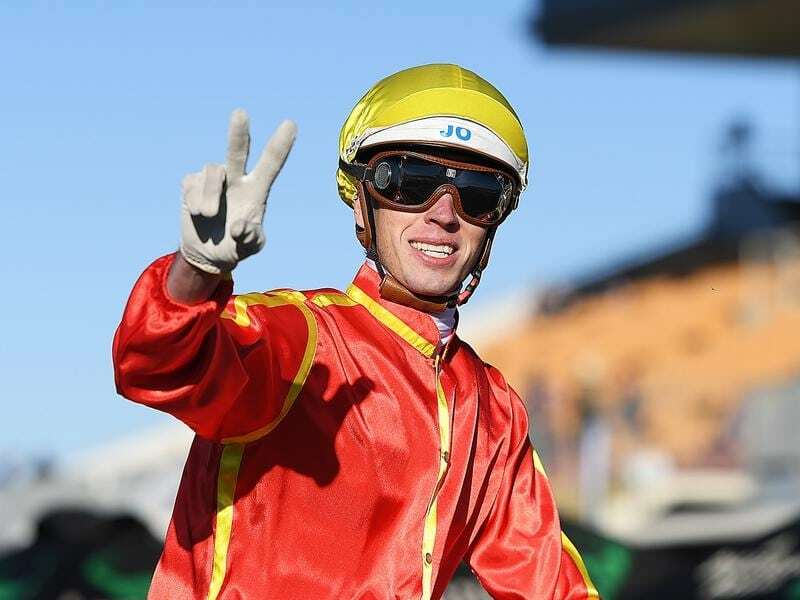 Jockey James Orman’s experience riding talented mare Sold For Song is expected to help offset her big weight at Doomben. Trainer Kevin Kemp has elected to use senior jockey Orman instead of a claiming apprentice. Sold For Song has not won since the Daybreak Lover Stakes in June 2016 but has earned her topweight of 59kg on Saturday. She has been stakes-placed five times since her last win and lumped 57kg when second first-up at the Gold Coast three weeks ago, the biggest weight she has carried in her 25 starts. Kemp said Orman had a great understanding of Sold For Song and she could be tricky to ride. “Jim has ridden her heaps of times and I think her biggest problem will be getting a crack at them in straight,” Kemp said. Kemp said Sold For Song’s racing style of getting back in her races often led to her being unlucky. “Even first-up at the Gold Coast she had to switch back to the inside when making a run and many thought he should have won,” he said. Kemp had considered sending Sold For Song to Sydney last weekend but elected to stay home. “I have been keen to run her at Randwick but it was probably too soon and then the races were at Rosehill this week,” he said. Sold For Song is likely to head to Sydney and Melbourne for fillies and mares stakes races after Saturday. Meanwhile, Kemp is likely to spell his promising stayer Fighting Teo who has won his past two starts. “I think if we look after the horse now he will look after us next year,” he said.